C.P.R. 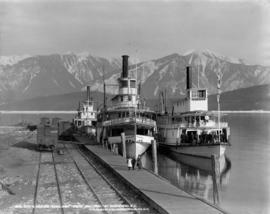 CO's S.S. "Rossland," "Minto," and "Trail" at Arrowhead, B.C. C.P.R. Strs. "Rossland," "Minto," and "Trail," at Arrowhead, Columbia River, B.C.